A world-class university – a unique student experience. Sheffield is a leading research university with a global reputation for excellence. Take advantage of everything it has to offer and you won’t just graduate with honours – you’ll graduate with insight, skills and experience that set you apart. The best students' union in the UK. Hundreds of student societies. A special city with a strong sense of community, right on the edge of the Peak District national park. And a network of support services to make sure you’re happy, healthy and secure.  As a world top 100 University in a city like no other, at Sheffield you'll receive an unrivalled learning experience and memories that will last forever.